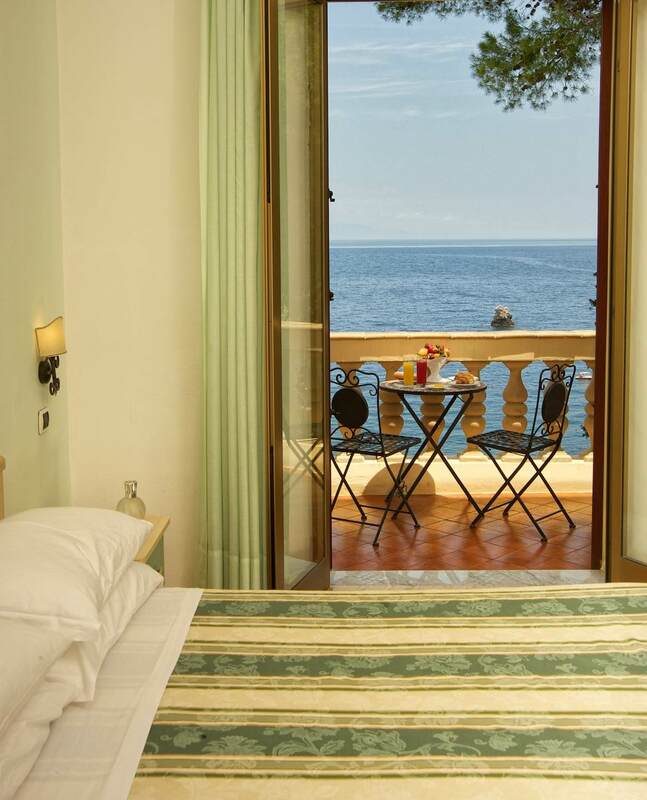 Most of the rooms at the Jonic Hotel Mazzarò in Taormina offer a breathtaking seaside view of the Bay of Mazzarò, adding a unique and unforgettable charm for every one of our guests. We offer the best web rates when booking directly on our website. Check prices and availability now! 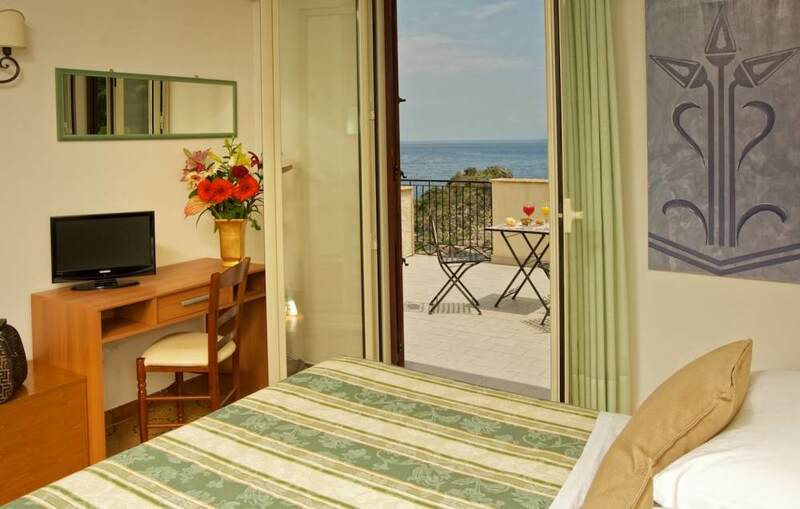 The rooms – also available as triples, ideal for small families – are equipped with all amenities, featuring simple and functional elegant furnishings in a classic and contemporary style. With bright natural lighting and high ceilings and arches in Art Nouveau style, the hotel’s rooms provide a relaxing and comfortable ambiance that will you feel right at home. On the upper floor of the hotel, a nine square meter terrace furnished with lounge chairs and a table, ideal for sunbathing. 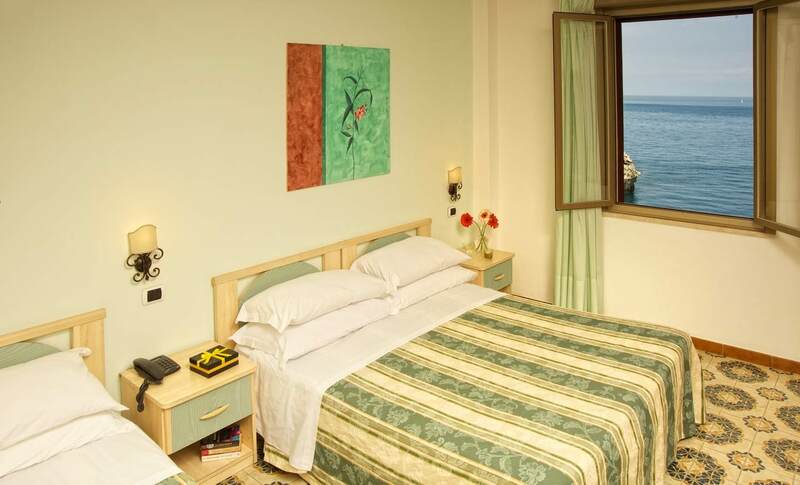 Splendid room, with a superb sea view and the best amenities. 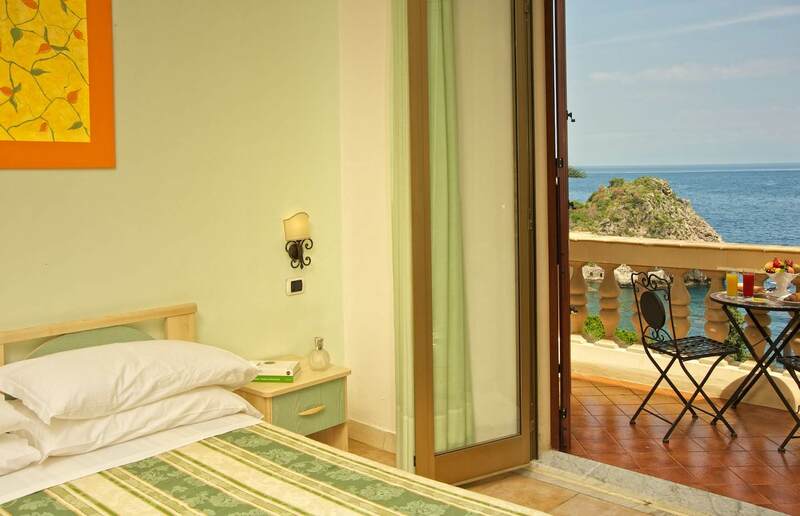 Double room with a private balcony from which to enjoy the sea view, fully relaxing in the company of a good Sicilian wine. Comfortable, featuring full amenities. Large double room with window. 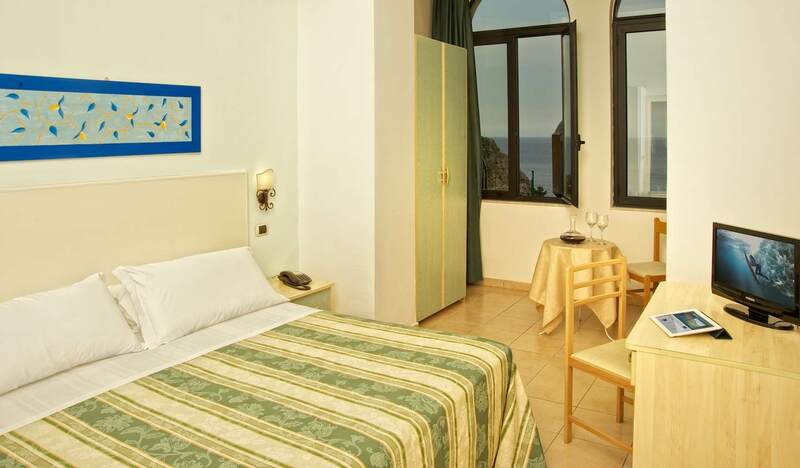 Elegantly furnished, with a splendid view, perfect for an unforgettable vacation in Taormina. 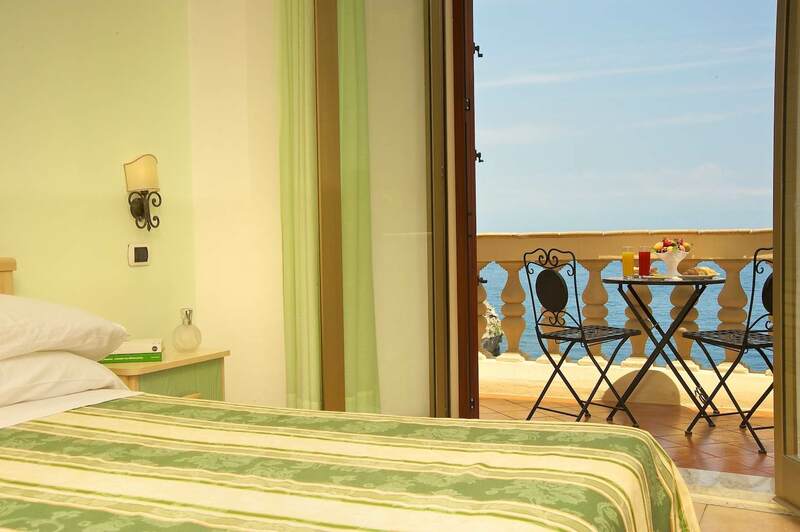 Sea view through your window of the splendid Bay of Mazzarò, elegantly furnished double room, featuring full amenities. 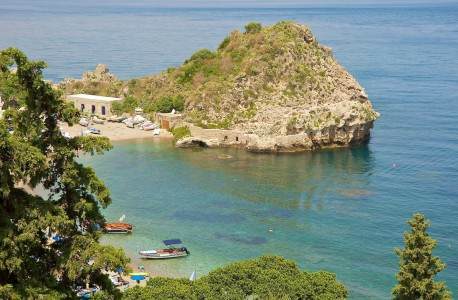 Perfect for a romantic vacation in Taormina. 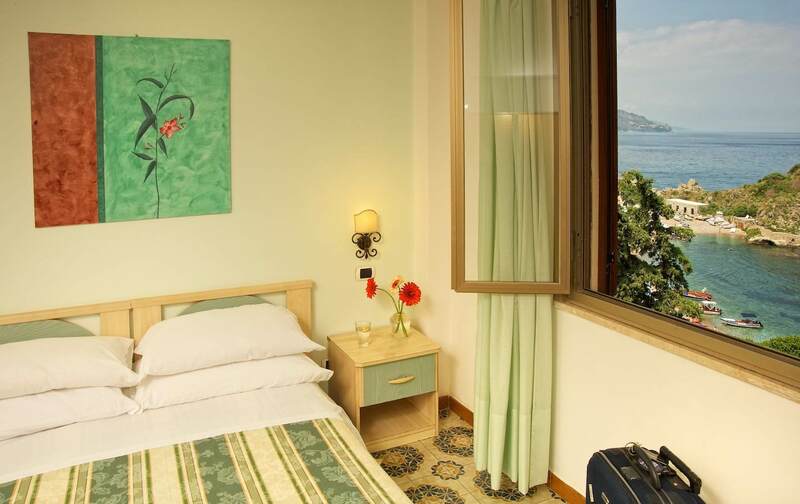 Comfortable triple room facing the Bay of Mazzarò. 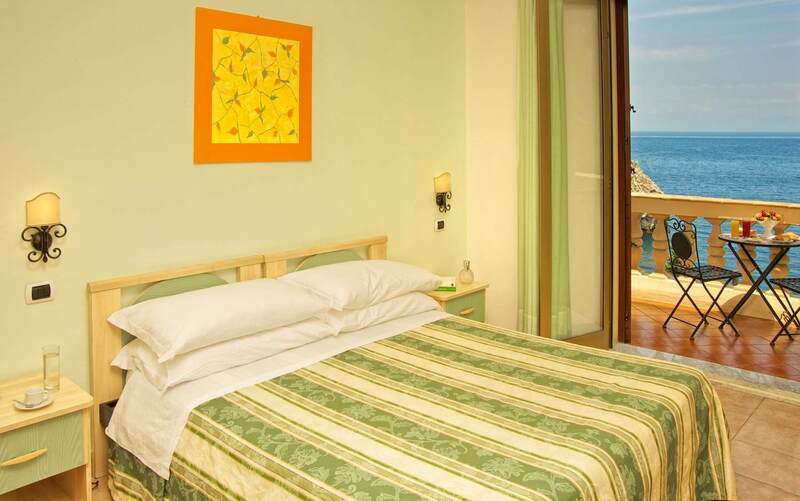 Features a balcony furnished with a table and three deck chairs, with full amenities. The ideal solution for a family with a child. 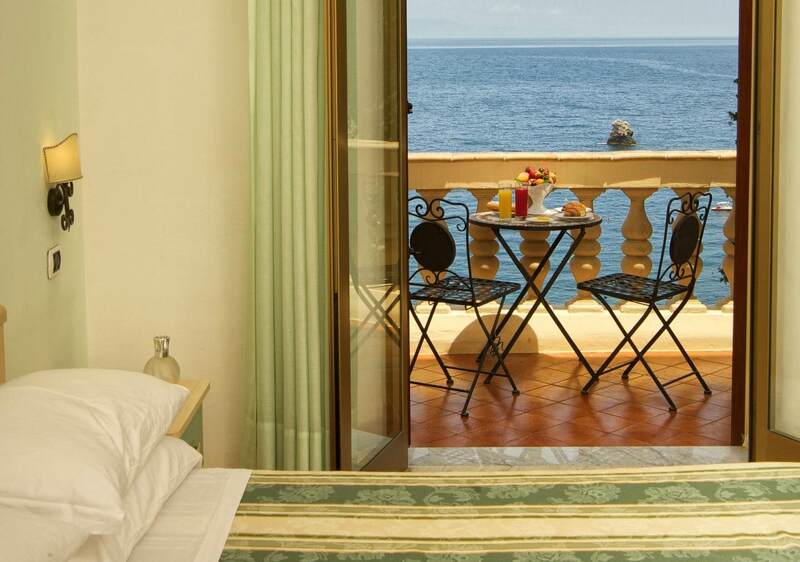 Designed for families on vacation in Taormina, a welcoming and comfortable room, with a view of the sea through your window. Room featuring a terrace furnished with deck chairs and a table, overlooking the hotel’s garden, a small oasis of greenery immersed in fragrant vegetation. 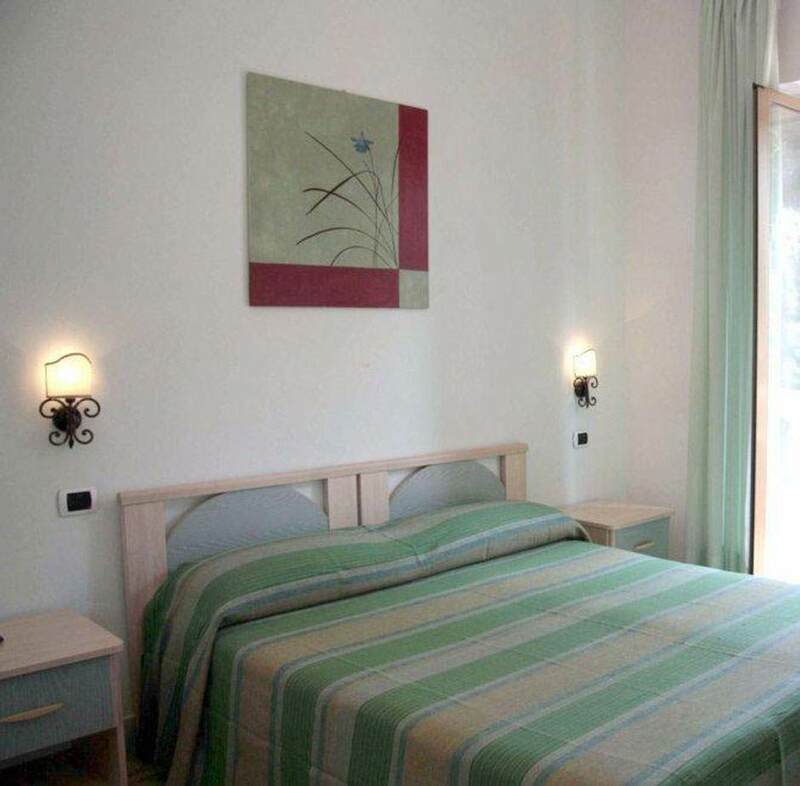 All the best amenities and simple, functional furnishings, in an elegant double room. 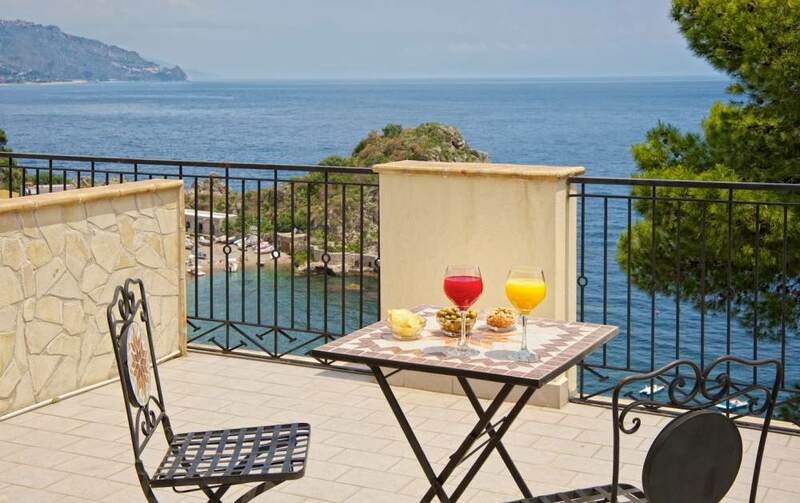 Ideal for a pleasant vacation in Taormina for two people.